Go big and bold. 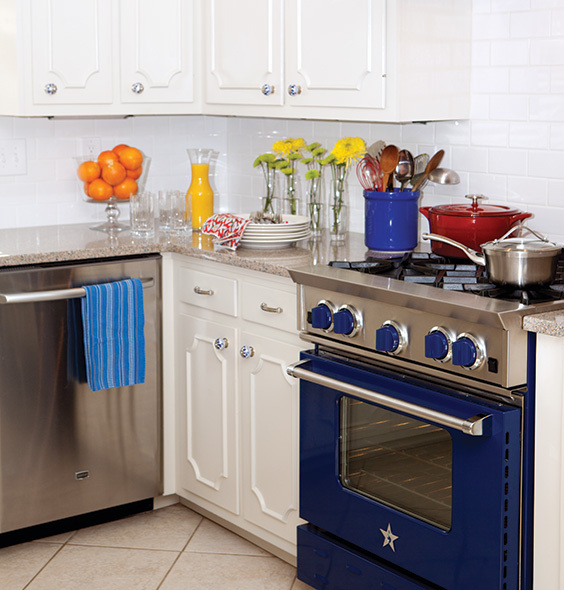 This homeowner was ready for a colorful kitchen, and she decided that a fun splash of cobalt blue would give some personality to this room that was once dark and dated. A fresh look can be as simple as changing out the cabinetry hardware. This homeowner chose a charming design that echoes her vivid color choice.